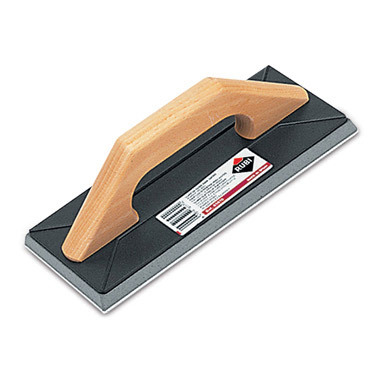 Rubi Termoflex medium-hard rubber trowel. Excellent grout float for the perfect finishing of tile joints, using either normal or epoxy grout. With ergonomic wooden handle. Trowel varies slightly from the one pictured - there is NO hard rubber bottom layer.